You've found the perfect Volkswagen car or SUV on South Bay Volkswagen's lot. Now the question becomes, should you lease a Volkswagen from us, or does it make more sense to finance your vehicle purchase? The experts in our auto financing department near San Diego, CA can help create a plan that works for your lifestyle. Leasing a Volkswagen is the smart option for drivers who don't put many miles on their cars. Plus, it's less hassle because South Bay Volkswagen will take care of all the vehicle's maintenance and repair needs. That means you're never caught by an unexpected Volkswagen repair bill. Plus, when you lease a Volkswagen vehicle, it's easy to trade it in every year for the latest model. If you're shopping for your next car on a tight budget, leases typically require a smaller down payment and lower monthly payments than a traditional auto loan. Questions? Give the finance team at South Bay Volkswagen a call to talk about your options. At South Bay Volkswagen, we have a fantastic inventory of Volkswagen vehicles ready for lease near San Diego, CA. Come test drive the new Volkswagen Atlas, the sleek Volkswagen Tiguan, or the exceptional Volkswagen Touareg to see if one of these high-performing SUVs is right for your lifestyle. Or, take a look at the sophisticated and sporty Volkswagen Golf GTI. Our finance department can help you estimate your payments with a Volkswagen lease, and help you work out a budget to get the car of your dreams. The financing team at South Bay Volkswagen can help you explore all your Volkswagen financing options. We help drivers around San Diego, CA with everything from trading in their older model Volkswagen vehicles to qualifying for our competitive rate car loans. 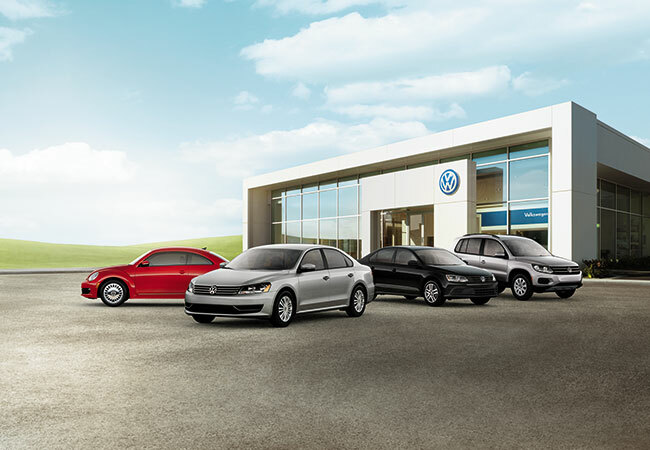 Make an appointment with our San Diego, CA area Volkswagen dealership today.